Google Street View is a great way to explore parts of the world you've never visited. And thanks to Google's European team, it's now one of the easiest ways to explore a facility you're not exactly allowed to just stroll through whenever you want. 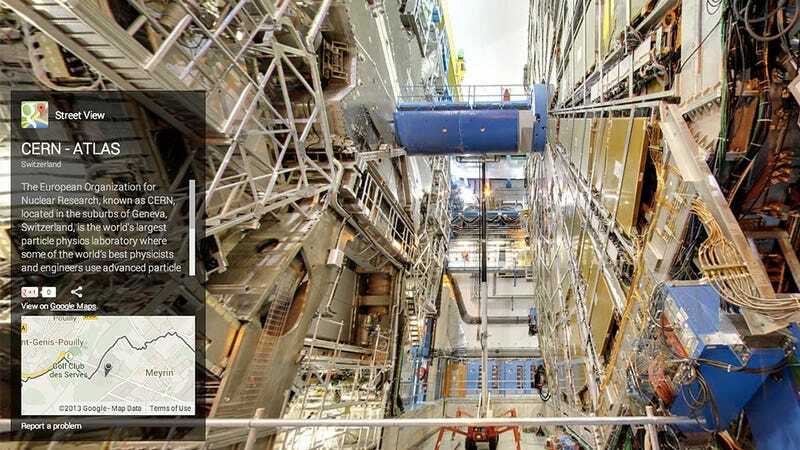 Google's panoramic cameras were given access to CERN's Large Hadron Collider, letting anyone poke around the gigantic machinery and the facility's endless network of tunnels. New Particle "Looking More and More Like a Higgs Boson"